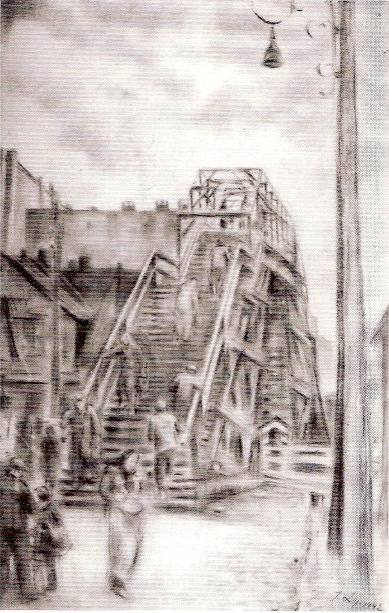 Drawing by Izrael Lejzerowicz entitled “Most w łódzkim getcie” (Bridge in the Litzmannstadt (Lodz) Ghetto). Collection of the Yad Vashem Art Museum, Jerusalem, gift of Nachman Zonabend, Sweden. The painting is based on a photograph by Mendel Grosman.